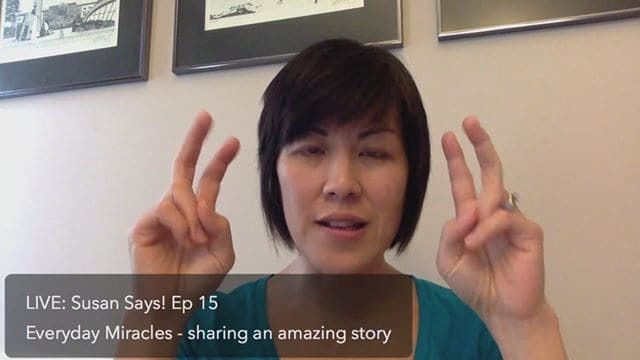 Sharing a story about everyday miracles & how you may be overlooking your very own miracle. I can’t do this until this…..I do that all the time!! Can you put the author’s name in the comment, too? Thanks! Marshawn Evans Daniels – excited to hear you at Millions Conference!! That’s amazing! After all of that, you better go up and introduce yourself! For social media marketing world. I’m excited for you to go and volunteer for this! It’s such an amazing event!! I love it when one miracle takes you down a path. I can’t wait to see what the ending to this story! Yes!! Totally worked out in her favour in the end. Jen Ma watch this. It will help for tomorrow! Erica amen!! I feel it too. Thank you for your kind words. I so appreciate you!